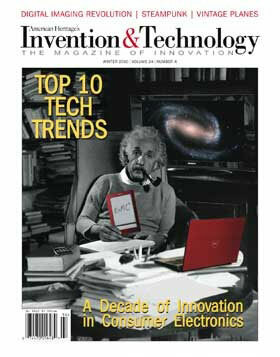 American Heritage marked the twenty fifth anniversary of its magazine, Invention and Technology, with an engaging theme. The editors picked their top twenty five revolutionary inventions in the United States. Before reviewing the top 25, let’s admit to the obvious. Editors compile lists with full awareness that no list will be definitive. Almost by definition, any educated reader will disagree with someone else’s assessment of the twenty five most revolutionary inventions. Rather, lists are a contrivance, a device to generate a thoughtful discussion about a topic. Well, so be it. The editors at Invention and Technology succeeded with me. I would like to offer some alternatives to their list, using an economic sensibility. Economics provides a perspective that differs from a technologists’ perspective, emphasizing new modes of production and improvements in human welfare, namely, the economic impact of invention. More to the point, this essay will stress what is “missing ” from the list compiled by Invention and Technology. 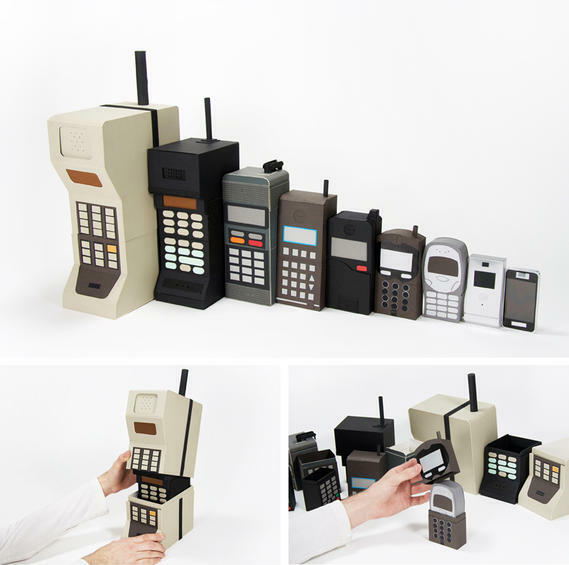 Among the missing are hybrid corn, McDonalds, the cellular phone, the commercial Internet, the assembly line, fast drying paint, the IBM System 360, the birth control pill, and PCR. In addition, this essay ends with observations about the drawbacks to conceiving of invention too narrowly. I end with several honorable mentions for institutional inventions found uniquely in the US. These were performed at the FDA, within venture capital, and by the traitorous eight (pictured on the right). I hope you will react to this essay. In other words, you should feel free to disagree, and respond with your own nominees for revolutionary inventions. The editors made the choices one might expect from technologists with a sense of history. 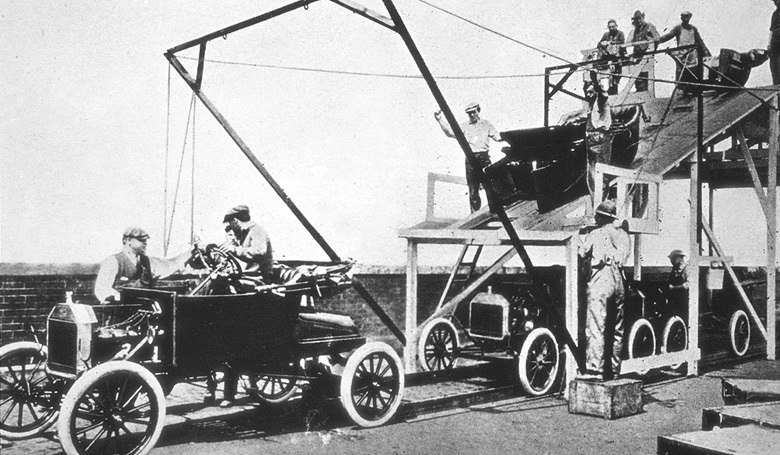 They picked inventions that met three criteria: (1) the invention was technically clever, difficult, or imaginative in the context of the science and knowledge prevailing at the time; (2) the events leading to the invention largely occurred within the United States; and (3) the invention was obviously consequential (though these consequences could extend far outside the US). As best as I can tell, the editors also had certain biases – namely, towards scientific inventions that had unique inventors. They avoided inventions that came out of laboratory efforts or group efforts, such as many of those that came out of Edison’s labs, or, perhaps better known, the Manhattan project. This bias leads the editors astray in my view, and it is the aspect I will criticize the most. Without further adieu, here is the list of the twenty five revolutionary inventions from the editors at Invention and Technology. For agriculture there are two inventions listed, barbed wire and the cotton picker. For the home there are five: the tungsten light bulb, frozen food, Freon, Tupperware, and the microwave. For communications they list two, voice over radio and FM. For Industry they list six inventions: the shoe laster, the steam shovel, galvanized steel, the o-ring, microencapsulation, and Kevlar. For the military the listed inventions are the machine gun and Teflon. For Electronics the magazine lists the transistor, the laser, flat-panel TV and charge-coupled devices. For computers the editors list COBOL, video games, and social networking. Finally, for medical inventions they list one thing, 6-MP. On the surface there is nothing particularly wrong with this list. 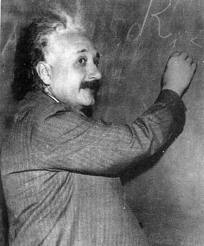 Many of these inventions involved the deep technical insight of an Einstein. I do not want to take anything away from any of them or the inventors who created them. However, the editors defined invention in a narrow way, excluding almost any invention that required more than merely a technical leap, or involved the combination of several distinct inventions into a system or process. In addition, and related to the last observation, the editors also used a narrow definition of consequential. They excluded new ways of organizing things, new modes of production, and new organizational forms, even when these resulted in revolutionary productivity-enhancing activities which improved human welfare. You will see what I mean after I explain their choices, and explore some of the alternatives. So let’s start quibbling. I will take them in the order in which they came. First, agriculture. Barbed wire and the cotton picker were economically consequential, so I hesitate to disagree. On the other hand, the cotton picker makes sense too. It led to the great black migration. Surely that is consequential. The choice is understandable. Still, though I appreciate barbed wire as an invention, I would replace it with another that deserves attention. Experiments in breeding and genetics created hybrid corn and other crops that revolutionized productivity on the American farm. It doubled output in a short period of time, and with almost no additional effort on the part of the farmer. That invention turned the US into an agricultural exporter, ended poverty on most US farms outside of Appalachia and the Mississippi Delta, and created wealth and abundance far beyond anybody’s imagination. When this began to happen the abundance of corn created all sorts of new opportunities. It led to changes in livestock feed (e.g., corn fed cows…), the creation of breakfast cereals and their expansion (e.g., Corn Flakes and Corn Pops), sugar substitutes (e.g., corn syrup), and a long (futile) search for automobile fuel made from corn (made today by ADM, lobbyist to the world…). In addition, the US experience inspired the same inventions and processes in other countries, and, indeed, led to the green revolution in the rice growing parts of the world. In short, hybrid corn was part of a revolutionary advance in productivity. It belongs on the list of any economic historian. Enough about corn. Let’s move on to the home, where there were revolutions in food. Once again, the editor’s choices are mostly sensible, that is, except for Tupperware. What is wrong with Tupperware? Nothing, except that Tupperware had its substitutes. 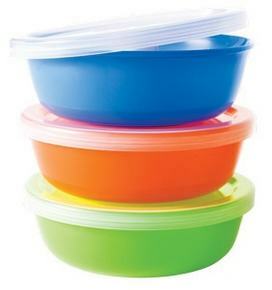 Tupperware also was more notable for its unique marketing approach than its product. While that deserves attention, it does not seem to seem to be in the same league as, say, the light bulb. I would go with alternatives. If frozen food (e.g., peas and vegetables) and freon (e.g., the refrigerator and freezer) makes the list, why is there nothing else about revolutions in American cuisine? No, I am not talking about new recipes using maize/corn, turkeys, tomatoes, and tobacco. Americans should not get credit for merely using a continent’s indigenous species and crops. 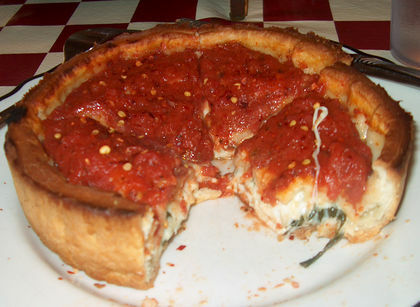 Nor would I highlight the culinary inventions of American cities — New Orleans gumbo, a New York deli sandwich, Chicago deep dish pizza, or California Cuisine salad. These all taste great, and, to be sure, great chefs are truly inventive. Yet, let me say it again, a great recipe is just not in the same league as the, well, the light bulb. Was there any revolutionary invention in cuisine in the US? Why, yes, there was. 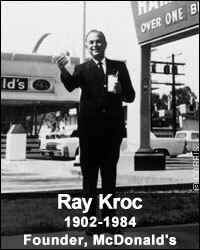 Look no further than Ray Kroc’s great invention, the franchised fast food restaurant. Yes, that’s right, McDonalds! (Yes, I am serious, albeit with a cheekish tone.) If you think about it for a little bit, it is surprising it is not on this list. The invention of franchised fast food is one of the most consequential revolutions ever invented in the US. Kroc’s invention was also widely imitated. 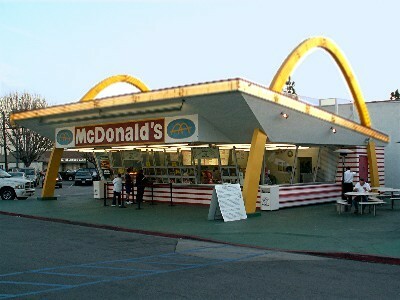 Indeed, the modern franchised fast food restaurant has changed the modern world. It altered the landscape of every major city in the developed world. Perhaps a technical snob or two among the readers thinks fast food did not involve technical invention. Please. Go work inside one of these places – the processes are incredible, so simple and refined, even a teenager could use them. Last point. This invention is definitely American. Indeed, McDonalds is identified with America as much as, well, Coca Cola and Mickey Mouse. Next, communications technology. This is one category where the editors let their narrow biases get the better of their judgment. FM radio is an odd choice. It was significant, to be sure, but so was AM radio, and in many respects FM was on a continuum of invention. So I am really not sure why it is here, especially because there were alternatives. 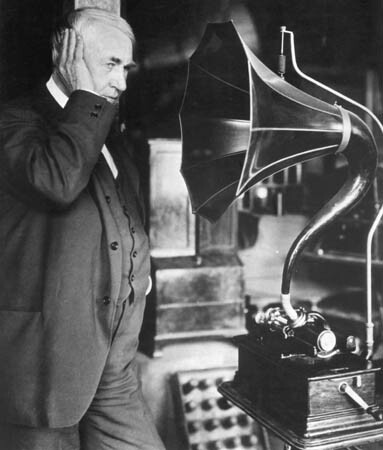 You might be tempted to replace FM with Alexander Graham Bell and the telephone. I actually think the editors got this one right. Technical historians long ago established that Bell was one of many inventors, and he barely got to the patent office before others. To be sure, Bell built a big enterprise, but that was not due to his inventiveness. Rather, he got some overly broad patents and his firm used them aggressively to keep others out of service (in addition to doing other things). In short, the editors might have been correct not to honor Bell’s achievement. However, something ought to replace “voice over radio” first. A hint at what’s missing arises in the label the magazine used. 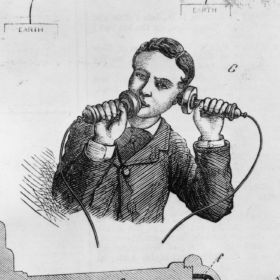 “Voice over radio” refers to Reginald Fessenden’s invention over a hundred years ago. That invention started things off, but that also gives way too much credit to the inventive origins of radio, while taking away too much from the clever and pragmatic engineering that followed much later. In other words, “voice over radio” does not refer to voices over radio in the modern sense, namely, cellular phones. That involved numerous key inventions, such as the invention of handing phone calls off between towers, and so on. So I ask: How do cell phones not make this list? There is no debate about cellular phones being consequential. It is the fastest growing network in the world. Maybe we can quibble about whether cell phones were much of a leap above radio phones (yes, they were), and whether employees at Bell Labs did or did not invent all aspects of the entire system (yes, the science behind it had many authors), but those still seem like technicalities. Cell phones deployed first in the US, albeit slowly, because most industry leaders at the time thought it would not be particularly valuable (yes, funny in retrospect). Bell Labs did lots of the essential design work and most of the key inventions. The origins were New Jersey. Seems worthy of attention. Now, for the next point. I would replace FM with the invention of the commercial Internet. Talk about a revolution. Once again, just try explaining to your kids what life was like before it diffused. Just try. I use the adjective “commercial” with intent. That refers to a particular event, the privatization of the NSF backbone, which was coincident with many other propitious circumstances. Let me explain. The commercial Internet was born in the mid 1990s when private firms together offered a system of exchanging data using interoperable processes governed by commercial contracts. This network was born after the NSF privatized the US national backbone, ending any questions about whether government policies restricted the uses for the data traffic (after privatization, it did not). As one might expect with any advance as significant as the commercial Internet, there are the debates over whether the Internet was really a US invention. There is no way to avoid this debate, so let’s do a bit of accounting, shall we? This invention involved TCP/IP compatible software (US inventors mostly), Apache servers (US inventors, once again), routers in key places (largely from Cisco at that point, another US firm), and private ISPs (aided by peculiar US regulations), and the network was largely devoted to sending emails and browsing. The data went over a backbone paid for by the NSF (a US government agency), operated by MCI and Sprint (again, US), IBM (again, US), and MERIT (again, US), using software developed under sponsorship of the NSF and DARPA (again, US agencies). Email had many technical origins, to be sure, but most of them were also US based. Even the commercial browser from Netscape, the dominant browser at the time, was a US invention. In other words, by this simple accounting, a large part of the commercial Internet was substantially a US invention. It is possible to say more. It is easy to forget, as well, that the commercial Internet involved a novel notion, namely, that the entire system ought to be privately supplied. This too was a US notion, and sharply at variance with the prevailing notion in Europe (and some parts of the US, such as at AT&T). The commercial Internet also was coincident with other peculiar US notions. For example, it used bottom-up governance, such as the IETF way of organizing standards developments for TCP/IP. In places Stallman‘s copyleft licenses also were growing popular. Those would grow into open source. The commercial Internet surely was not entirely a US invention, however, so let’s not get carried away. 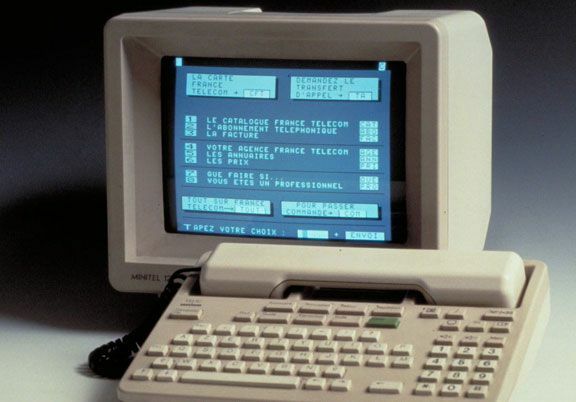 It is certainly true that the commercial Internet borrowed many technical elements observed previously in private packet switching networks, in bulletin boards, and in France’s Minitel system. The set of extended applications working with TCP/IP also compiled suggestions from many international sources, mongrel technical parenthood by any definition. It is also true that Unix operating systems supported Apache, and by the mid 1990s most of these were becoming Linux. There is no way the US can claim parenthood for Linux. In addition, the World Wide Web was not a US invention (it came from a British citizen working alongside a French citizen, both located at CERN, a European high energy physics lab located in Switzerland). Nonetheless, Even Tim Berners-Lee, the aforementioned creator of the Web, felt he had to move to the US to get the World Wide Web Consortium off the ground. He did that in the summer of 1994. 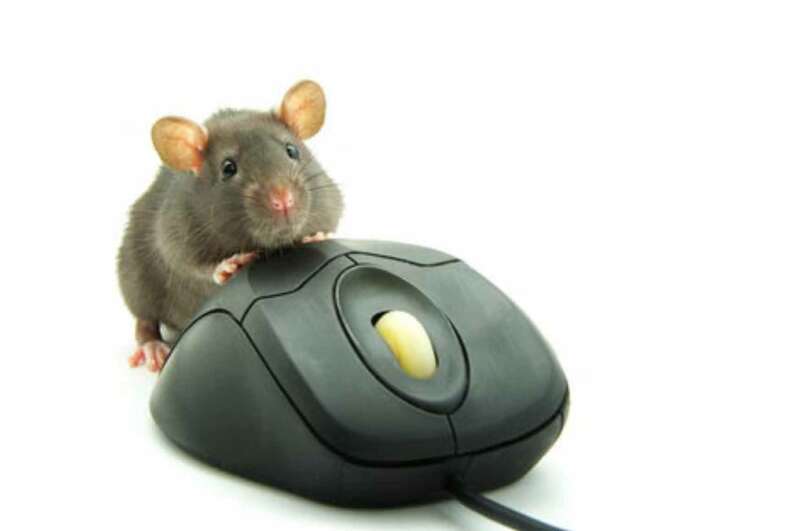 There is an old saying that “Almost is not good enough except in horseshoes, hand grenades, and nuclear weapons.” The commercial Internet was the economic equivalent of a nuclear blast, so it is the exception that proves the rule. 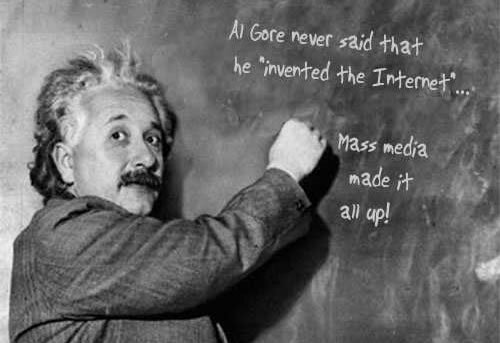 Almost is good enough in this case, even though the commercial Internet was not entirely a US invention. Substantial is enough. It ought to be on the list because it was too consequential to ignore. OK, enough said. Let’s move on. For industry the editors came up with a nice list, but I would throw any of their choices off that list for one other invention, the assembly line. The assembly line is easily the biggest oversight on this list. This one is a no-brainer. No review of American invention should omit Henry Ford, the model T, and five dollars a day for every worker. The assembly line took three years to invent, and many more to perfect. It involved extraordinary complexity for the time. Many contemporaries thought it would not succeed, and, oh, was it ever a revolution. Every firm that ignored it for too long eventually went out of business. It made the automobile inexpensive enough for every middle class family, which changed the design of roads and cities. The general principles underlying the process were reapplied to the assembly of products far and wide. It was the most economically consequential invention of the early part of the century. That story also inspires a comment on another big omission, which I would take over just about any of the editor’s choices – fast drying paint. (No, I am not kidding.) If emphasis is placed on economic impact instead of merely technical accomplishment, then fast drying paint was one of the most valuable inventions of the last century. Hear me out. 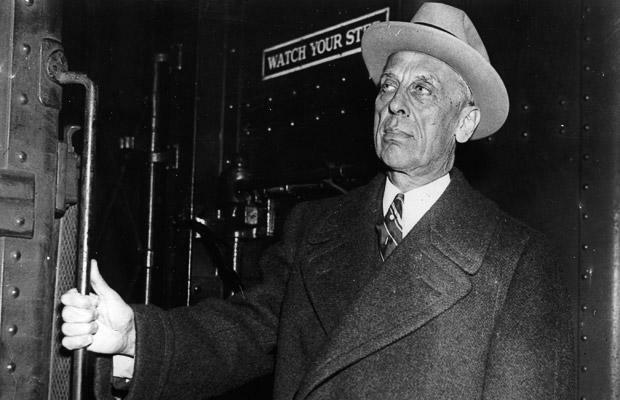 To wit, how did Alfred Sloan manage to turn General Motors into the largest automobile firm in the world in spite of Ford’s enormous lead? As every student of the auto industry knows, Sloan did many things right, and, among those actions, he especially listened to consumers. What did he learn? That consumers like beautiful things. Sloan listened and found a way to offer cars in many colors (see the previous quote from Henry Ford). No, really. Many an engineer has ignored the simple lesson of this tale and needlessly destroyed their firm as a result. Products not only need to be functional. Products ought to be beautiful too. To be sure, you might still not believe that color is consequential enough to deserve attention. After all, cars with colors did not end world poverty, cause great social movements, or change the average American’s supper in any obvious way. That is right. 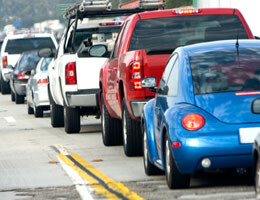 Still, colored cars only make highway traffic more, um, shiny, brilliant, lovely, beautiful, and varied. In short, modern life would be dreary without color. We all should be grateful. I have no issues with their choices for military the inventions. Teflon was a great military invention. Its biggest economic impact came on cookware, but let’s let that sleeping dog lie. There is quite a lot to say about the next categories. For Electronics the editors list the transistor, which is a no-brainer. Though a bit technical in focus, I will cut them slack for this one. Along with charge-coupled devices, these inventions stands in for several later inventions that just as easily could have made the list, such as the integrated circuit, electronic memory, the microprocessor, the calculator, and the personal computer. The laser is another one in this category. It too stands in for multiple later inventions, such as the CD and DVD and high-precision-surgery and laser printers. Then the editors list flat-panel TV. For computers they list COBOL, video games, and social networking. What a strange combination of inventions. 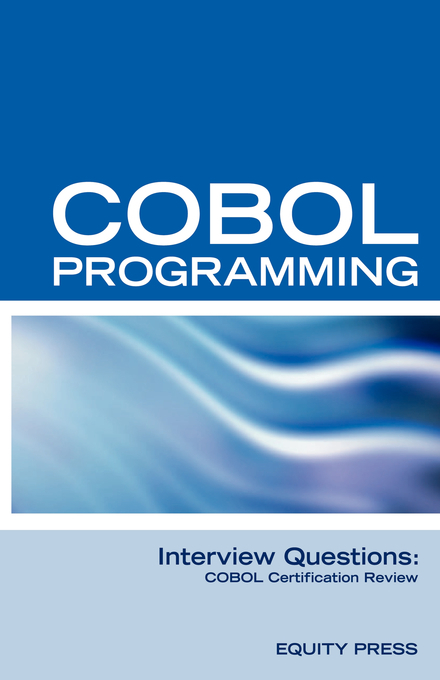 What are the editors thinking, combining something as amazing as the transistor with something as specific as COBOL and with something as general as video games and social networking? To be sure, this category is not easy, but there were much better choices. I cannot fathom how anyone can make this list without putting on it the most lucrative invention in commercial computing. 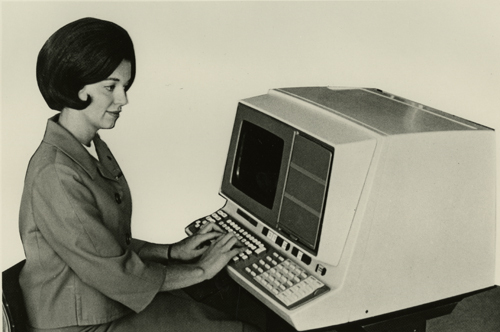 That was the IBM System 360, the first system of backward-compatible computers. It permitted users to preserve the value of their software while making an upgrade. More to the point, the invention of backward compatibility permitted users to purchase/install their systems knowing in advance that they had a path on which to grow. It was a revolution at the time, and everybody knew it. 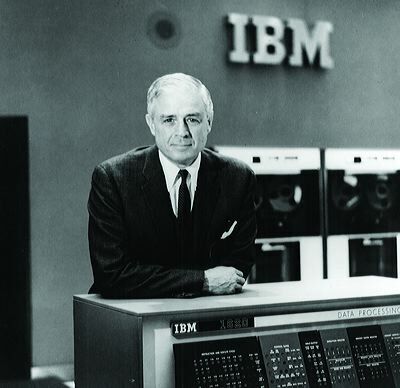 It was extremely difficult to design these systems, produce them, deliver them, and service them, and IBM did all of those things far better than anyone else. The System 360 was simply the best computer in the world. It is one of the greatest stories of American enterprise in action. Thomas Watson Jr. took over his father’s company, argued with his Dad constantly, organized the entire effort, fired his brother in the process, and invested all of its talented staff and money in the project. Altogether he pulled off one of the most audacious inventive efforts of all time. IBM retained that leadership position for nearly thirty years, an extraordinarily long time in that market. Was it consequential? You bet. The backward compatible mainframe permitted the creation of the large scale database, particularly databases permitting real-time queries. (Firms started to make these databases bigger and bigger because they could migrate them between systems….) To appreciate what a revolution this was, it might be worthwhile to highlight one of the first effective uses of such an invention, the airline reservation system. These were so extraordinarily valuable that specialized agents became trained in using the databases, and made a full time job out of making reservations. (These people were called “reservation agents.” Once again, try explaining it to your kids.) The same basic elements reside in every automated database you query on the web today. That is not all, of course. Databases enabled what we today call ERP. Databases also helped automate tax returns, make the large scale insurance industry feasible, and make the large scale mutual fund industry more efficient. The gains go on and on. Anyway, here is my point. The System 360 changed life as we know it. Surely this deserves to be on the list more than COBOL…. Finally, I just have to say something about social networking. While it is the fad of our day, and clearly still has room to grow, it has a little problem. Fun as it might be, social networking, um, still has not made enough money to, um, cover its operational costs. Facebook is still more about its popularity and promise than, um, its actual revenue. (Call me an old fashioned economist, but revenue would seem to be a relevant criterion.) More to the point, social networking simply does not compare in economic importance to the most obvious technical advance in the web in the last decade and a half. What was that? That was the creation of the keyword auction married to a search engine. Overture and other firms pioneered this service, but Google perfected it. And, boy, have they perfected it, extended it, altered it, enhanced it, refined it, and made a bigger platform than any other. Doesn’t anybody recall how bad the web was without it? We now have reached the last category, medical inventions. For this one I asked my wife, who is a doctor, whether the editors got it right. According to her, no invention compares in importance to the creation of pasteurization and antibiotics, which are not American inventions. 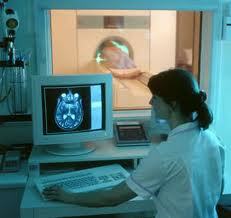 Next are X-Rays, CT scanners, and MRI machines. Once again, not uniquely American inventions. This is a challenging category for US inventors, so you can see why the editors chose 6-MP. It is an important drug, to be sure. Without taking anything away from it, however, consider some viable alternatives. What about, for example, the birth control pill? Sure, the science had many origins, but that is a technicality. Sure, the Syntex chemists, Carl Djerassi, Luis Miramontes, and George Rosenkranz did the key work in Mexico City, but that was because the key ingredients (Mexican Yams) were in Mexico. And not all the participants were US native born citizens (Djerassi was a refuge, for example). But Syntex was a US firm. It was managed like a US effort, financed like a classic US-type entrepreneurial technology venture, and in an era (the 1950s) when such efforts were still challenging. It was substantially a US effort on non-US territory. What did these smart fellows pull off? 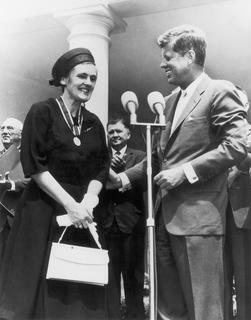 The pill was the most important (and among the most lucrative) new pharmaceutical product in post-war developing world. 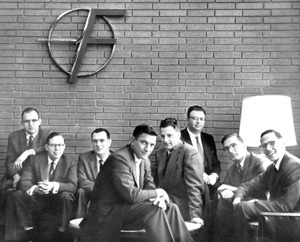 The firm, Syntex, was built entirely around the product. The product helped usher in a global social revolution in sexual conduct and gender relationships. Seems pretty consequential, don’t you think? Speaking of changing the pharmaceutical industry, another good candidate is PCR (Polymerase Chain Reaction), which is used by every biotech firm today. Just to be clear, PCR is not a discovery, like the code for DNA. Rather, it is an invention, an engineering process to make it easy to replicate DNA. Indeed, this invention made it much easier to make gazillions of copies of DNA, which is why every biotech firm uses it today. It is fundamental to biotechnology engineering. This is another quintessentially American story. No Hollywood script writer could imagine a character as interesting as the actual inventor, Kary Mullis, or, for that matter, the process leading to his invention. Mullis is a PhD biologist, and he worked at Cetus, a leading early biotech firm located in the San Francisco Bay Area. To be charitable, Mullis is a bit of free spirit. His lifestyle is a bit extreme for most people. For example, Mullis is an avid surfer and recreation LSD user. Nobody is quite sure what he will say in public when he speaks. Closing thoughts: What is really missing? What are the bigger points behind this discussion? First, the editors excluded almost any invention that required more than merely a technical leap, or involved the combination of several distinct inventions into a system or process. Second, the editors excluded new ways of organizing things, new modes of production, and new organizational forms, even when these resulted in revolutionary productivity-enhancing activities which improved human welfare. An economist would not filter the world through such a lens. That is why an economist might come up with a different list than a technologist. In light of that observation, I am further struck by the absence of three institutional inventions that make the US technology situation unique. Three deserve an honorable mention. Let me close with remarks about each. First, consider the FDA approval process for new pharmaceutical drugs, the gold standard among such processes. Without a doubt, it changed the world as we know it. Anybody over the age of sixty remembers why this process was put in place – thalidomide in the late 1950s. 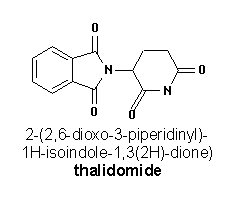 As brief reminder, thalidomide was billed as a wonder drug, the drug to end morning sickness, a modern miracle for billions of women. Instead, it turned out to be a tragic drug, but that only became apparent after it went into widespread use in Europe. It caused birth defects in many of the European countries in which it was allowed to diffuse, and it took about four years for doctors/patients/researchers to make the connections between the drug and the consequence. What have we got? The FDA process is slow, plodding, thorough, and careful to a fault. But, face it, that beats myopic, corrupt, impulsive, and unscientific to a fault. Talk about a revolution. Every other country watches the FDA process, and deeply questions situations where their own countries vary with the FDA process. Many countries simply wait for the FDA to finish. A second US institutional invention deserves notice – the invention of a structure for investing in technology ventures. It happened quietly in the 1950s and 1960s, but it was the legal framework for permitting financial partnerships while retaining limited liability. It enabled the growth of venture capital as we know it. To be sure, venture capital is not the most perfect form of banking, nor is it the only way to finance high technology business ventures. However, it sure has many advantages over the alternatives. Moreover, it gives the US technology markets its unique flavor, an abundance of cash for investing in high tech. While there is occasionally a shortage of good ideas or good judgment in venture capital, there is certainly no shortage of cash in US high tech markets, which is more than you can say for many countries. It was one of several elements that made US markets distinct from other countries, giving the US its vast array of VCs, such as Tom Perkins (pictured to the left). Once again, widely imitated. Once again, consequential. The third invention relates to this last one. It is more of an innovation in attitudes than a technical invention, but it was consequential nonetheless. It was the invention of the mythology of the traitorous eight. Just as a reminder, this label refers to eight engineers who left Shockley’s transistor business for Fairchild Semiconductor, becoming the “fairchildren.” They departed due to a simple and indisputable fact. Despite being among the best mathematicians of his era, Shockley (pictured on the right) was a horrible executive and manager, and everybody who worked for him said so. It was obvious at the time. You might ask, then, why does one little story about an famous-scientist-turned-incompetent-administrator make this list? In a nutshell, it was first. The story became bigger than itself. It became a symbol, inspiring others, and, indeed, for generations. The traitorous eight established several principles at once. First, it illustrated that great scientific talent does not have to lead to great administrative talent, so great business might need specialists in each. Second, great science does not imply great business success, so great technology business must hire both great scientists and administrators. Third, if an engineer is willing to put his money and risk behind his own judgment, even in opposition to the greatest scientist of his era, then all the power to him. 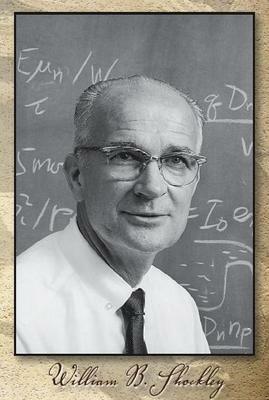 Nobody, not even the inventor of the transistor, had the last word. From such attitudes did the Silicon Valley style technology start-up begin. So I say: Bless the traitorous eight for their gumption. That mythology set the precedent, that any engineer could (and would) depart from its employer when the CEO got too far out of line. They were not the first spinoff in history, to be sure, but it started a tradition of spinoffs in Santa Clara that has not yet died out (yet). It is also one of the other elements that made US high technology so vibrant, and so different from other countries. These last three examples are striking. None are technical inventions per se’. Rather, these shape the environment, enable invention to grow and become more consequential. That gets us back to the main point. Perhaps focusing on technical invention is too narrow a lens through which to understand inventive activity in the US. What do you think? What are your nominees? I want to see a similar list for Japan! Could I possibly get one? Uh, for the military, doesn’t the airplane rate somehow? I agree with you on cellphones, and on the S/360. But doesn’t the PC rate? Or the microprocessor? Or the PDA or smartphone? You have a point there about the microprocessor. I bet they left off the airplane because of disputes about who invented what. Many technical historians do not think the Wright brothers were very novel. I am not agreeing or disagreeing. I am just saying…. I would like to draw your attention towards an article on “Inventions that revolutionised the world”. Every schoolchild knows that the scientific genius and inventor, Thomas Alva Edison invented the light bulb in 1879. Though the credit to make electric bulbs commercially viable goes to him, many believe that he did not invent the bulb and bought patents from those who did. You mentioned the integrated circuit in passing, but didn’t emphasize it. The IC gives us Moore’s law and with it 50 (!) years of non-stop technical improvement. The IC substitutes machines for the hand labor of wiring all the transistors together. The integration of transistors on a single chip (and the continuing economies of scale created by the miniaturizing of transistors) has given us the who panoply of electronic equipment that we have come to enjoy. Emphasizing the transistor over the IC reflects the science bias of the original list and ignores the contribution of the technologists who followed. As I remember (always a dubious proposition of a person of my age), it took longer to invent the integrated circuit than it did the transistor. Yes, you have a point about the microprocessor. Perhaps placing emphasis on the transistors does not recognize the later inventions enough…. The picker required many innovations to become sucessful. 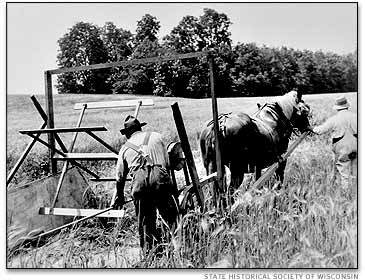 The picker was in the works from the invention of the cotton gin till about 1935 when someone added those couple of drops of water that made the bolls stick to the picker. At least that is what I remember from an article many years ago. How about vulcanized rubber? Charles Goodyear, an American, figured this out. Global impact on an unimaginable scale. Adding to your words on the impact of freon: Not only were refrigeration and freezing important in the food distribution chain, they were important at home. Before the refrigerator, people shopped for fresh food every day or two, frequently relying on dried ingredients that neded substantial preparation. Without the refrigerator, could many women work outside the home? No one mentioned Willis Cariier’s air conditioner. Could integrated circuits and micropocessors be manufactured without it? Would Houston, Dallas and Atlanta be modern business cities without it? Very interesting post. It would be nice to distinguish between revolutionary inventions that got patented and those that did not. Good question. Off the top of my head I do not know the answer, but I can form an impression from scanning the list. It appears most of these inventions involved patents in some part but not all of the inventive process.